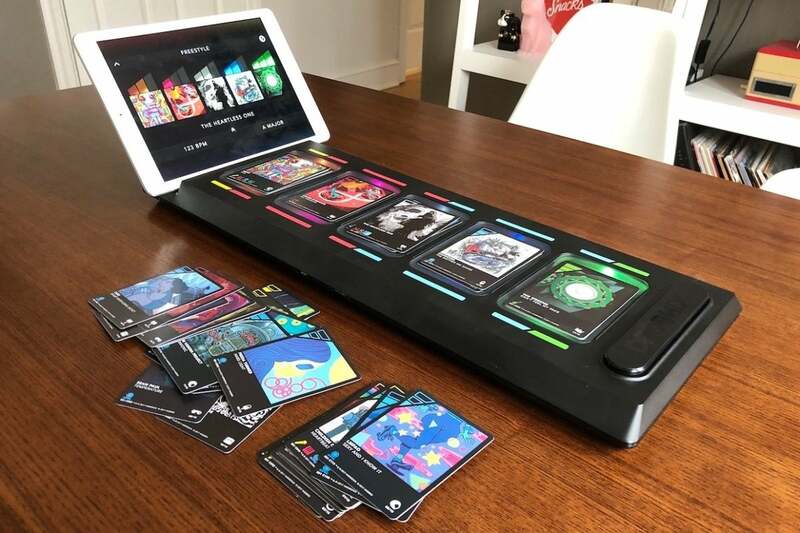 Connected toys and games leverage the power of your iPhone or iPad to empower new kinds of physical-meets-digital experiences—but even so, the concept behind DropMix sounds a bit absurd. It's a game that finds you placing cardboard playing cards onto a Bluetooth-connected board, and by doing so, you'll mix and match the beats, harmonies, and vocals from various popular songs into one surprisingly cohesive track. Playing cards and remixes? DropMix might seem convoluted, sure, but it totally works. And that is Harmonix's specialty. This is the same studio that created the plastic instrument craze with Guitar Hero and Rock Band, and reinvented dance games with the Kinect motion-sensing Dance Central on Xbox. They are the masters of exciting, music-driven play experiences, and that's seen yet again with DropMix. DropMix brings in bits and pieces from some very different source songs. 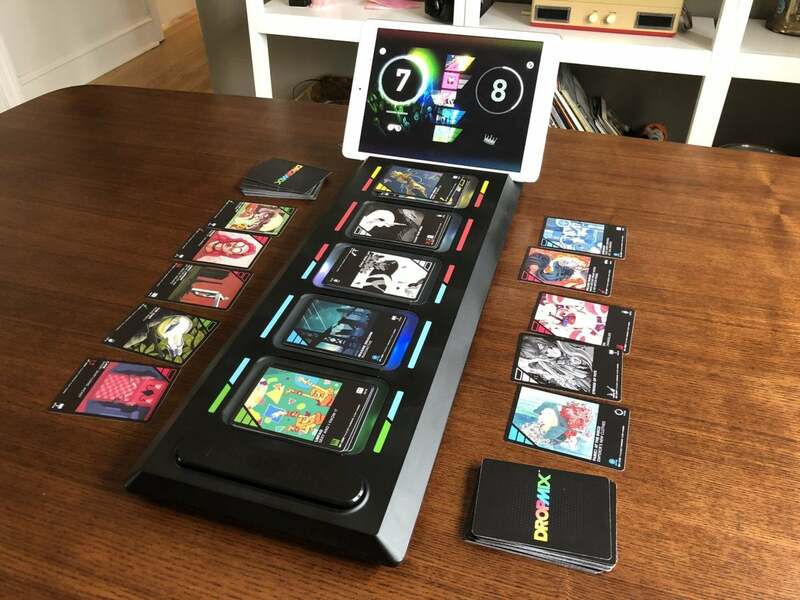 Described as a "music gaming system," the DropMix package includes a battery-powered, light-up plastic board along with 60 cards, each of which packs in an NFC chip to interact with the board. You'll download the free DropMix app on iPhone or iPad, pair it with the board, and then stick your device into the little upright slot at the end of the board. Now you're ready to make music. Each color-coded card includes a portion of a real-life song: a guitar riff, vocals, or a beat, for example. When you place a card onto one of the five NFC reader pads, that element of the song is automatically added to your ongoing mix, which plays from the iOS device. You can even drop a new card on top of a pile to switch things up, or use FX cards to tweak the output. DropMix also shifts the tempo and key of elements to ensure that everything matches up perfectly into a compelling aural brew, although you can also manually tweak both on the fly. Fling a bunch of song chunks at DropMix and it'll (somehow) find a harmonious result. It's effortless, and even an out-there pairing of very different songs from seemingly opposing genres can sound pretty great. Songs from the likes of Bruno Mars, Ed Sheeran, The Weeknd, Sia, and Imagine Dragons are included in the starter pack, and Harmonix and Hasbro sell additional themed sets that bring in artists like Outkast, MGMT, and The Chainsmokers. 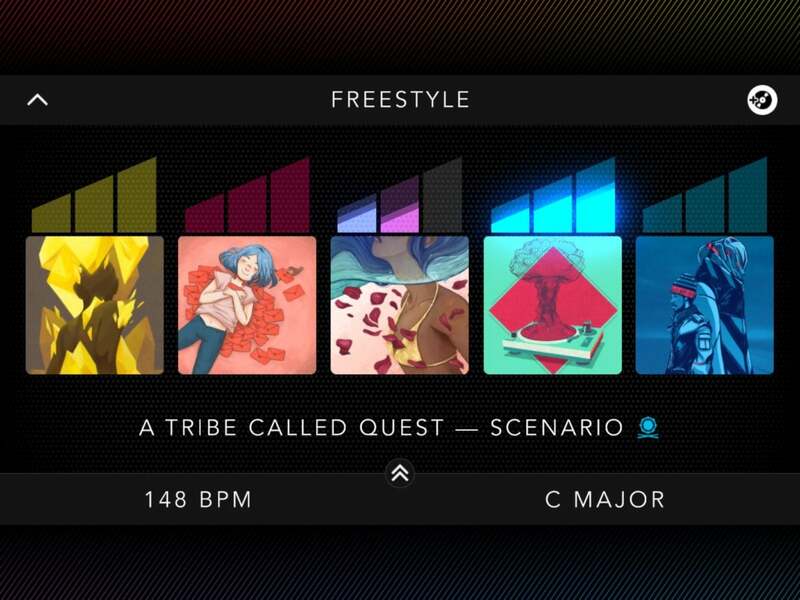 DropMix is at its best when you're just noodling around with cards in the Freestyle mode. It's less a game than a breezy production studio, letting you add and subtract cards to your heart's content to create amazing or audacious results. This is where I spent most of my time, taking the 100-or-so cards I had between the starter kit and expansions and just playing around until I made something great… or wonderfully weird, at least. You can even save your mix and share it as a video. 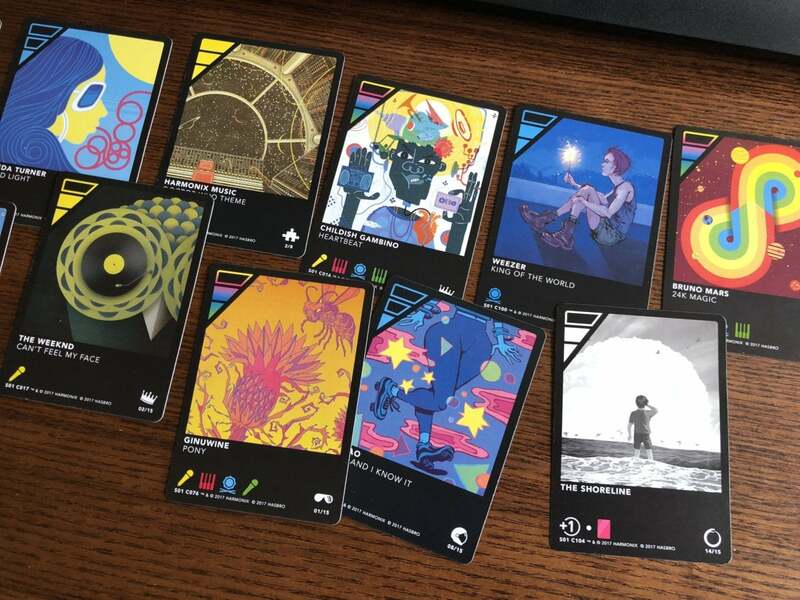 The game modes are fine, but DropMix's real joy is found in freewheeling experimentation. By contrast, the two game modes—the head-to-head Clash and collaborative Party—aren't nearly as compelling. In Clash, you'll take turns playing cards to build up a score tally, with each card's power rating and other modifiers coming into play. Meanwhile, Party mode finds players quickly trying to satisfy requests for certain cards. In both cases, the joy of creation takes a backseat, since you're more focused on game rules that have little to do with making cool-sounding tunes. They're solid enough diversions, but I had a lot more fun freestyling. Hopefully we'll see more modes added in the future. The starter kit's original $100 price is a bit daunting, which might explain DropMix's seemingly muted launch last fall. But with post-holiday season price drops putting it as low as $50, there's been more buzz building around DropMix—and rightly so. It's an incredibly cool concept that makes you feel like you're creating music just by laying down cards, even if it is more fun to mess around than play the structured game modes.